Today has turned out to be a freaking awesome day. Good. One of the best in a long while. First, as I was shopping in Target this morning, I got a call from my agent. She had great news to share…that I’m not going to announce just yet. 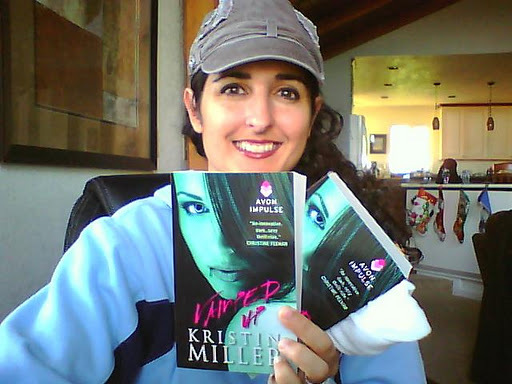 Early copies of VAMPED UP! They’re GORGEOUS. Breathtaking. Prettier than I thought they’d be. 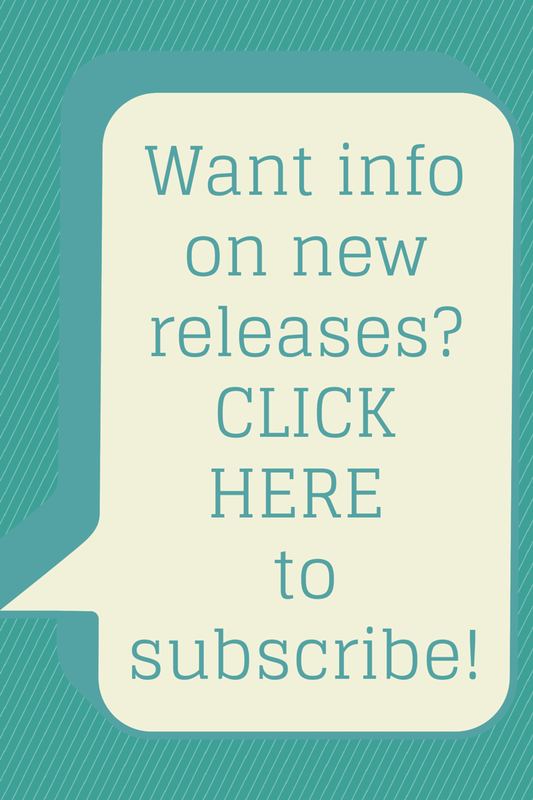 The e-copies (found at pretty much any e-retailer) release Dec 6th. (THAT’S NEXT TUESDAY!!) The print version releases Dec 27. Now you ready for The Bad? No, I didn’t find a new and creative way to point UP. (Hardy-freakin’-har!) 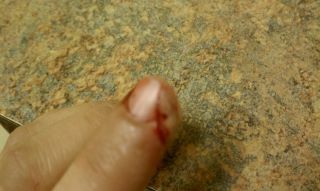 I sliced my finger open while cutting onions yesterday afternoon. It was a new knife. A slippery onion peel. I dug into my flesh, bled a ton, and even cut through my nail bed. It was nasty. I rushed to the doctor to see if I needed stitches, if they could re-attach the flap that’d come off. No stitches, but they glued the skin and nail back in place and strapped down some surgical tape. 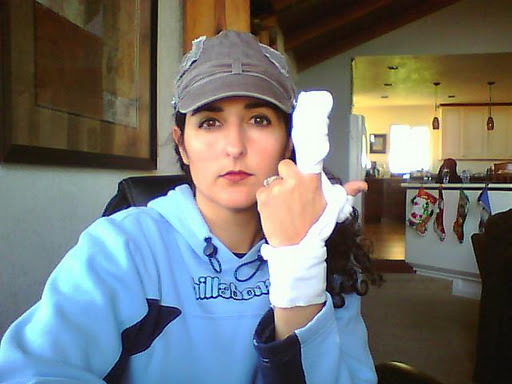 Now I have to wear the funky hand bandage from hell for a week. Want to see The Ugly picture of the cut? This entry was posted in cutting finger, Harper Collins, Vamped Up.